The Sabres wore their white uniforms at home for a change on Thursday. The Buffalo Sabres and Carolina Hurricanes played one of those games that was a fan’s dream and a coach’s nightmare. It felt like an NHL game in the late Eighties as the goals kept piling up. Carolina would go ahead, Buffalo would rally. The Hurricanes would regain the lead on an easy goal, and the Sabres would do something spectacular to tie it. 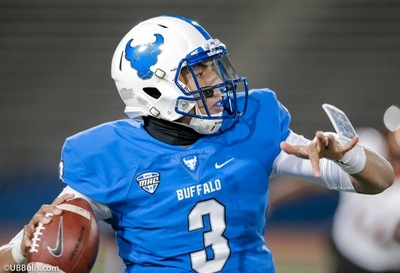 Buffalo rallied three different times to tie, but never led for a single second. In basketball, they call such games “last shot wins.” Sure enough, the Hurricanes’ Teuvo Teravainen got that last shot – and scored to give his team a 6-5 win before 17,588 at the KeyBank Center. It left the Sabres as depressed as they’ve been after a game at any point this season. Buffalo had been playing rather good defense back in early January. The Sabres allowed only a total of 18 goals in an eight-game stretch that ended on Jan. 8. But that sort of game has become a distant memory. Buffalo has allowed 45 goals in its last 10 games, with the other team scoring at least four goals in eight of those games. It almost feels futile to describe the changing ebb and flow of this contest. The Sabres rallied from a 2-0 lead in the second period on goals by Rodrigues and Jason Pominville. Then suddenly the dam burst and goals kept coming from all sorts of angles. The Hurricanes got a pair of goals that resembled two-foot putts. As you might expect, that didn’t go over with Sabres coach Phil Housley. Several fans headed for the exits after Carolina’s Nino Niederreiter made it 5-3 with 5:02 to go. But when the Sabres rallied to tie, you could almost hear those same fans from the parking lots – cheering over the comeback and swearing about their decision to leave early. Sam Reinhart made two sensational passes across the ice that resulted in goals from Marco Scandella and Skinner. The Sabres should have had the momentum going into overtime, but almost anything can happen during three-on-three hockey. One moment, Jack Eichel just missed on a good opportunity. A split-second later, the puck was being carried down the ice on a two-on-zero by Carolina. Rasmus Dahlin was too gassed to keep up after a long shift, and Teravainen beat Linus Ullmark at 3:25 of overtime. That’s two straight games that the Sabres have played more than 60 minutes. They were thrilled to win on Tuesday after a shootout, and depressed to lose on Thursday on another slightly unlikely turn of events. It’s a fine line when it comes to emotions in this league some times. Yes, the Sabres lost a point to a Carolina team that has joined them in a chase for an available playoff berth. That’s the same Hurricane team that has beaten Buffalo eight straight times. But that wasn’t the important part of Tuesday’s game. There’s a sense that three games into a seven-game homestand that the Sabres need to pick things up to take advantage of this opportunity to get close to the teams in front of them in the playoff race. Thursday’s loss represented a missed chance to win two straight games for the first time in almost two months. To do that, better team defense would help. “We can’t expect to win hockey games (by) 6-5, 7-6,” Reinhart said. “We need more from our goalies, and we need it from the start of hockey games. It’s frustrating. Speaking of changes, the Sabres certainly will spend Friday determining whether they need to alter their defensive lineup. Nathan Beaulieu and Matt Hunwick are waiting for their turn. We’ll see what happens by Saturday afternoon when the Detroit Red Wings come to town.